A high amount of raw fibre from hay, graΒ or unproceΒed plants is an eΒential component of chinchillas' diets. Milk thistle supports metabolism and contains eΒential dietary fibre. The high fibre content ensures optimal digestion and improves your pet's well-being. 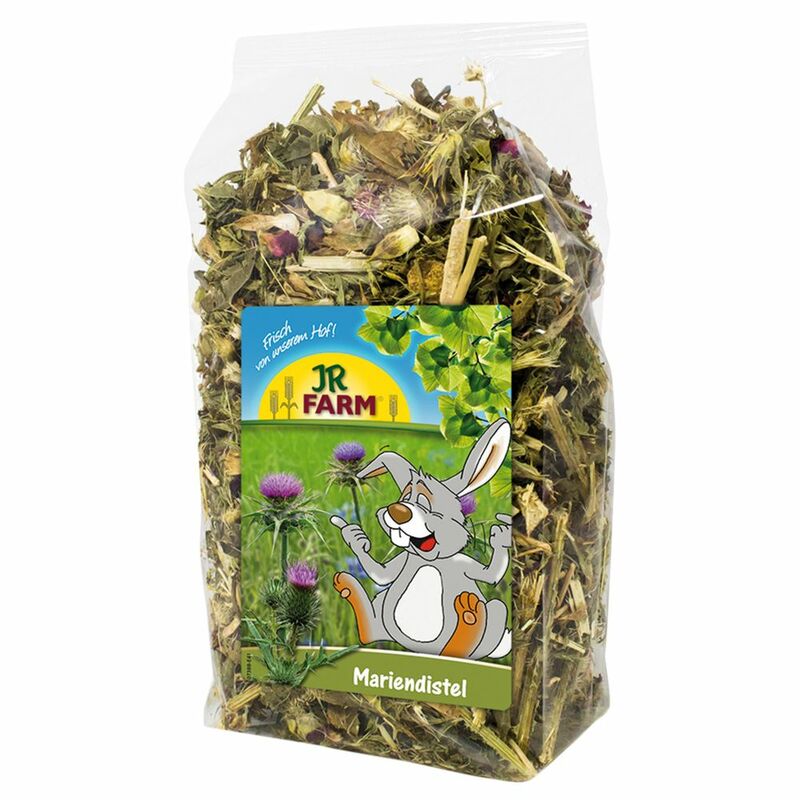 JR Farm Milk Thistle is made from pure Milk Thistle plant, without other weeds or herbs added. Thus it is ideal for mixture and targeted doses. Attention: This product contains thorns that are NOT dangerous for chinchillas to eat, but rather are a part of a chinchilla's natural diet.